Kia is set to welcome a new arrival to the Ceed model family, the Ceed Crossover, which it says will be named and revealed later in 2019. Kevin Burke Tyres receives many queries from customers on tyre maintenance and the regulations that apply. The Skoda Octavia, the brand’s most successful model here and a multi-million seller around the world, celebrates its 60th anniversary. Originally designed to bring affordable and high-quality motoring to the widest possible audience, Skoda says the design and engineering philosophies behind the Octavia remain the same today. The new Citroen C5 Aircross is now on sale in Ireland, with prices starting from €26,495. Toyota will supply Suzuki with its electrified platforms, a version of the Corolla wagon (estate) that will be built at Toyota's British factory, while Toyota's engine factory in Deeside, Wales, will produce the engines for this model. And there will also be a version of the RAV4 hybrid (SUV) imported directly from Japan. Now that spring is here, the sun is rising earlier, but being dazzled by the sun can be a major distraction and is often a factor in summer collisions. Official statistics released by the Society of the Irish Motor Industry show new electric vehicle registrations continue to grow. Aa total of 1,437 EVs have been registered so far this year, surpassing the total number of EVs registered for the whole of 2018 (1,233). Ford today unveiled an extensive range of new vehicles that are designed to help make cities and urban areas cleaner and quieter by increasingly using more environmentally friendly electric power. Renault Ireland powered up and showcased its impressive ZE range at the recent SEAI Energy Show in Dublin. Skoda is reporting its best start to a year with record vehicle sales and revenue performance. Against the backdrop of a declining market, Skoda has increased sales by 5.2 per cent to 5,329 vehicles. Mitsubishi Motors Corporation (MMC) gave its Engelberg Tourer new-generation crossover SUV its global premiere at the 89th Geneva International Motor Show. The new Seat Tarraco, which was launched in Ireland in February, has achieved a five-star safety rating from testing organ isation Euro NCAP. Euro NCAP’s testing procedures become more rigorous and demanding each year, as the safety body increases the number of tests annually. 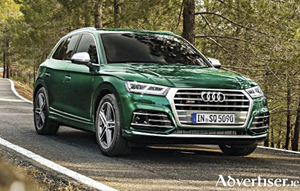 All aspects of the vehicle are examined, measuring the ability to protect both adult and child occupants, and vulnerable road users while also evaluating more advanced safety assist systems. 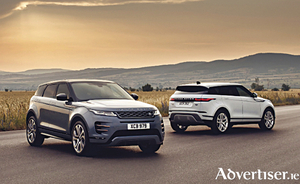 The Range Rover Evoque transformed the Land Rover range when it first launched in 2011, and now the dynamic SUV has undergone a major re-design to include a refreshed exterior and superior levels of capability. 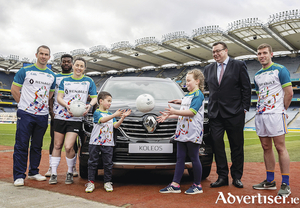 Renault Ireland is the title sponsor of the 2019 GAA World Games, which will bring some 1,300 players from 10 regions around the globe home to play this summer. Although year-on-year new car sales are down for 2019, figures from the Society of the Irish Motor Industry show a consistent rise in the number of motorists opting for petrol over diesel cars. In January 2019, 45 per cent of new cars sold in Ireland were petrol models. That figure for petrol models is an increase from 39 per cent in January 2018 and 32 per cent in January 2017. 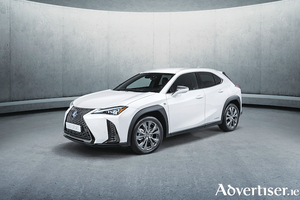 The new Lexus UX hybrid crossover will be launched this weekend at Lexus Galway in Ballybrit. 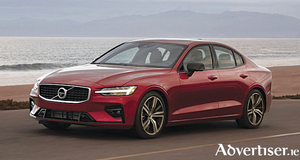 One of the worldwide leaders in safety, Volvo Cars, is sending a strong signal about the dangers of speeding and will limit the top speed on all its cars to 180kph from 2020. 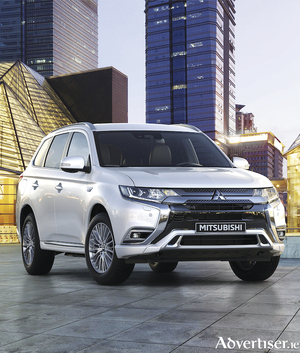 Mitsubishi Motors Ireland's new Outlander plug-in hybrid EV is now available in three specifications, Intense, Instyle and S-Edition, from Rochford Motors, Ballyhaunis. According to Kevin Burke Tyres, vehicle owners should be aware of regulations, and take advice for maintaining tyres.